Sandi empowers parents to step into their greatness. She JOYfully teaches parents to cultivate authentic relationships with their children. 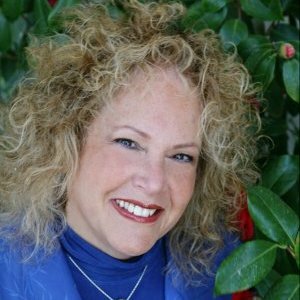 Sandi Schwartz is an internationally respected expert when it comes to understanding children and inspiring parents into their greatness. She brings over forty years of experience in the field of child development to her career as educator, author, radio show host, and captivating motivational speaker. Sandi combines the best of traditional wisdom with open-hearted awareness, delivering an uplifting message that empowers parents to interact with their children with loving, sensitive confidence. She holds a Masters Degree from Columbia University and is the recipient of many distinguished awards. Sandi’s programs for parents have received international acclaim. She has created and presented workshops for school systems, organizations, colleges and businesses. As Sandi continued to sense the readiness of parents to shift their thinking about children’s physical, emotional and spiritual journeys, she was inspired to create Leading Edge Parenting, a visionary approach to parenting from a place of loving empowerment. She has written and co-authored books, educational articles, and a parenting column for the San Diego News Network’s SWRNN. Sandi has presented at the annual conventions of the National Association for the Education of Young Children and is a highly sought after keynote speaker. Combining the best of traditional developmental theory with the spiritual laws of the Universe, Sandi empowers parents to build on their inner wisdom, releasing limiting beliefs and replacing them with valuable skills, insights and the capacity to feel unbounded joy as they share daily life with their children. Sandi offers private consultations and conducts live and web seminars for parents, grandparents and professionals. Weaving her unique and passionate message of ‘parenting magic’, she helps moms and dads relax as they learn to transform their relationships with each other and with their children. With humor and sensitivity she advocates for parents, replacing worry and guilt with strategies that encourage each family member to grow into their unbounded potential. Sandi radiates compassion and understanding as she spreads her message of unconditional love to parents around the world. She is known as the guru who has the rare ability to take care of hearts while also taking care of business.